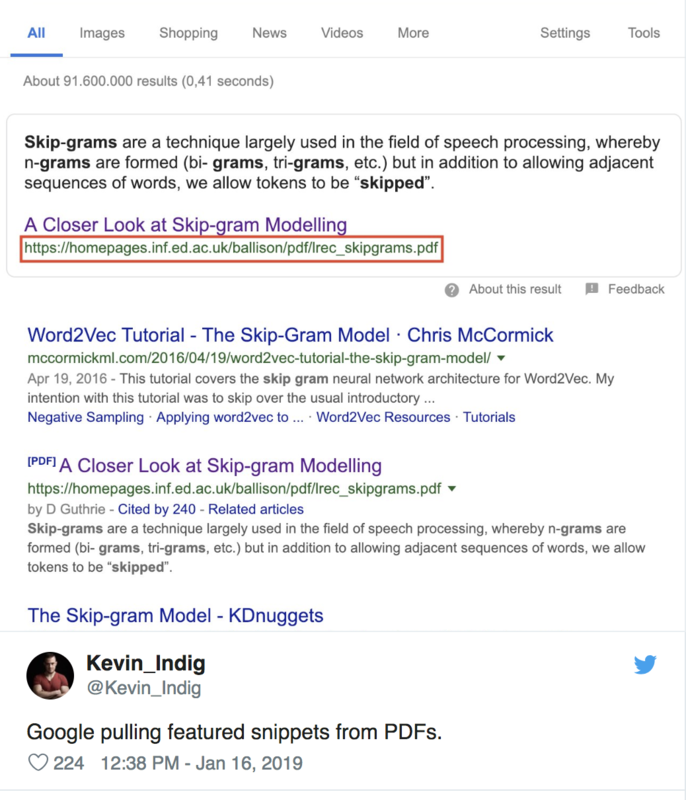 For the first time, people are seeing Google pulling featured snippets from PDFs. This came as a surprise to many marketers, as featured snippets have traditionally always pulled from web pages. For marketers who have long relied on PDFs to deliver marketing materials, this could be a very powerful SEO update. In short, this means that any non-gated, indexable PDF assets like white papers, case studies, and sell sheets can now rank zero in search engines. This is huge. Marketers should be aware that the best practices we currently use for featured snippets on web content should now be applied to the PDFs we create. As I mentioned, PDFs have been a common source of confusion for marketers for some time now. There has been a persisting myth that PDFs can’t be crawled at all for search engines. Google has debunked this several times, but, many marketers were still not sure how to optimize their PDF content for search. However, with the revelation that PDFs can now be selected as featured snippets, it’s more important than ever to learn! In order to increase the chances of your PDF being selected as a featured snippet, you’ll want to make sure it’s following some standard SEO best practices. 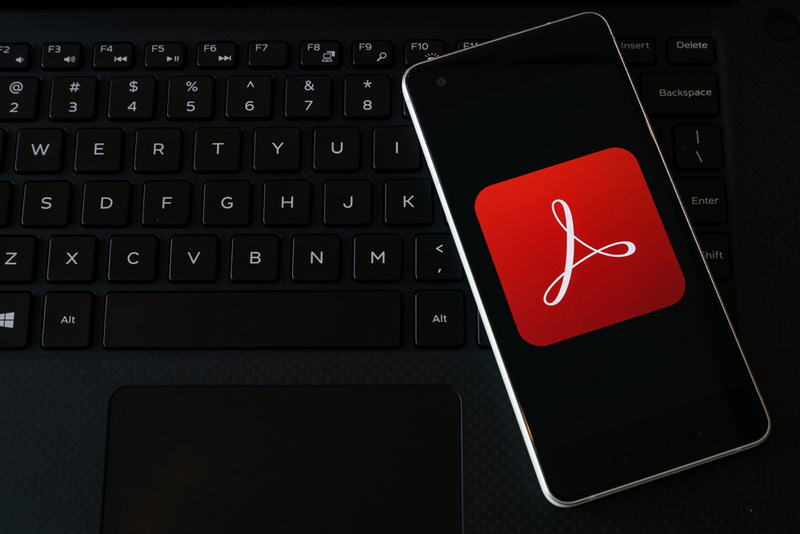 This article from Search Engine Journal lists several tactics for optimized PDFs - here are a few of them that will provide quick wins. As with any blog post or website content, you’ll want to make sure you have the right keywords included. Conduct keyword research to see what queries are commonly used when someone is searching for content related to the PDF. However, it’s slightly different with a PDF vs. website content, because you want to make sure both the file name and the title name are optimized. The file name refers to the name of the actual document you’re uploading and will appear in the URL. To follow best practices, you should make sure you’re capitalizing the first letter of each word, and separating each word with hyphens, so Google can crawl more easily. The title name is the text that appears as the link in search results. This may or may not be the same as your file name, but it serves an additional purpose of enticing your user to click through (even if Google doesn’t take notice). PDFs, by nature, are image-based. This is one of the main reasons there have been so many misconceptions surrounding Google’s ability to crawl & index them. While Google does have the ability to understand the text on the PDFs, you can make it easier by making sure your PDFs use plain text. If you’re not sure if your PDF is using plain text or not, an easy test is trying to highlight a sentence. If you can copy & paste it, then it’s using plain text. If not, there are many simple tools available online that can do this conversion for you. Just like any website page, you want to make sure that the PDF is connected with your website pages. This will prevent the file from becoming an “orphaned page,” and provides more context to how this file is related to other site content. Links signals to Google that the PDF content is relevant, and should be indexed. Additionally, if you’re not doing this, then the only way anyone could access your PDF is if they find it through search engines, so you want to make sure that users that find your website a different way can still view it. Similar to the tip above, including links in the PDF can help Google understand the relevancy your PDF has to other web pages. By including internal links back to your website, you’re also making sure that the traffic you’re earning from this PDF has a pathway to learn more about your business, products, or services. Mobile-first indexing is still a key player in SEO. With that in mind, we know that Google does not view PDFs as mobile-friendly assets. From a technical standpoint, this is valid. PDFs are generally made to be printable, so squeezing that unresponsive content onto a smaller screen is bound to cause problems. While you might not see your PDF marked as “mobile-friendly” by Google, you can make some formatting adjustments that make it easier to read on mobile devices. This will help reduce the bounce rate on your PDF, which will help you rank higher over time. Left-Align Text: This minimizes the risk of needing to scroll horizontally to view all of the PDF content, which is a big pain point for the user experience on mobile. Break Up Content: Utilize bullet points, subheaders, or bold text where needed. This makes your content more easily digestible for the user than reading through a wall of text. Images or Charts: Another way to make content more easily understood is by adding images or charts throughout that summarize main points. Before you get started, it’s important to note that PDFs are not crawled as frequently as web pages, at least not currently. This is largely due to the nature of PDFs as a permanent, static resource, they generally don’t change that much overtime. So if you’ve done all of the above tactics and are still not seeing your PDF selected as a featured snippet, you should be aware that it will take longer for Google to recognize those changes. Overall, this is a great opportunity for digital marketers to further capitalize on their existing content! Try it and let us know what return you see in IMPACT Elite!